In your defence, Carnegie Mellon researchers determined that it would take the average person 76 work days to read all the privacy policies they agreed to each year. So you’re not avoiding the reading out of laziness; it’s literally an act of job preservation. 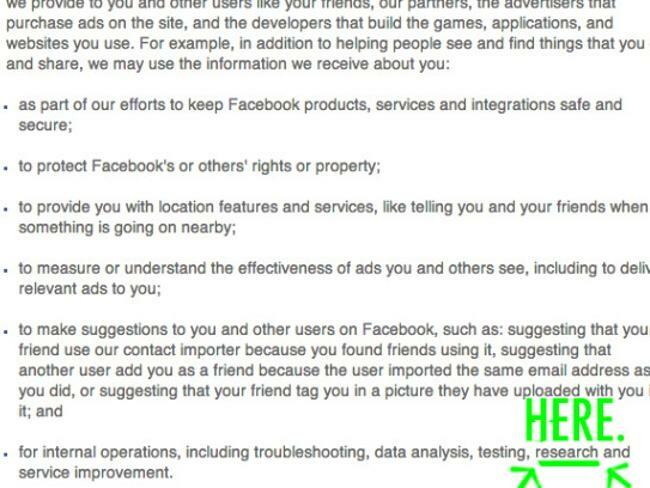 So here are the Cliffs Notes of what you agreed to when you and Facebook entered into this contract. Which, by the way, began as soon as you signed up. Facebook has even begun studying messages that you type but end up deciding not to post. A recent study by a Facebook data analyst looked at habits of 3.9 million English-speaking Facebook users to analyse how different users “self-censor” on Facebook. They measured the frequency of “aborted” messages or status posts, i.e., posts that were deleted before they ever were published. They studied this because “[Facebook] loses value from the lack of content generation,” and they hoped to determine how to limit this kind of self-censorship in the future. Your Facebook footprint doesn’t necessarily disappear if you deactivate your account. According to the site’s Statement of Rights and Responsibilities, if your videos or photos have been shared by other users, they will remain visible on the site after you deactivate your account, and are subject to that user’s privacy settings. 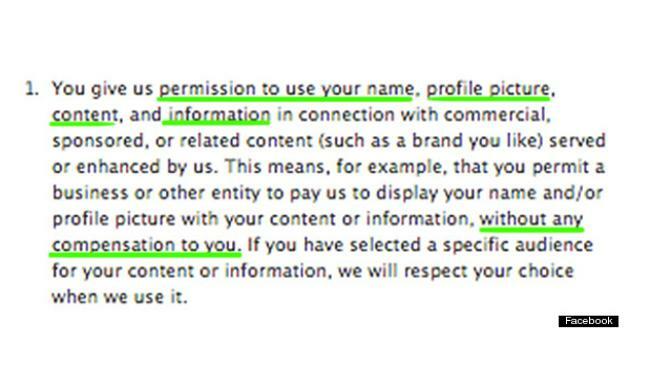 This means that Facebook is being paid for supplying your endorsement (which you indicate by liking a page) to brands or companies. 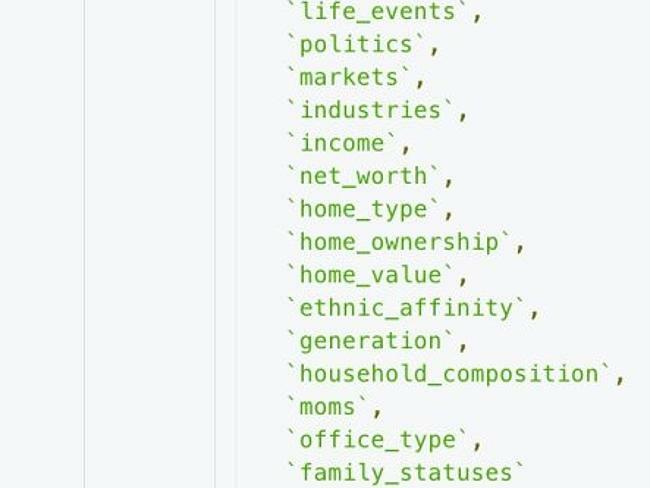 You can even find out how much your data is worth to Facebook by using the FBME application from Disconnect, Inc.
Last year, Facebook started partnering with data broker firms. Data brokers earn their money by selling information about your consumer habits and monitoring your online and offline spending. Facebook’s partnership allows them to measure the relationship between the ads you see on Facebook and the purchases you make in-store — and determine whether you’re actually buying in real life the things you’re seeing digitally while using Facebook. The data collection is difficult to skirt. One Time magazine reporter went to great lengths to hide her pregnancy from big data; she said her husband ended up looking like a criminal when he went to a drugstore and tried to purchase enough Amazon gift cards to buy a stroller on the website. This kind of ultra-specific marketing also can become eerie. Take the case of Mike Seay, who the LA Times reported received an OfficeMax marketing letter addressed to “Mike Seay, Daughter Killed in Car Crash.” OfficeMax said that the information came from a third-party broker, but did not specify which one. 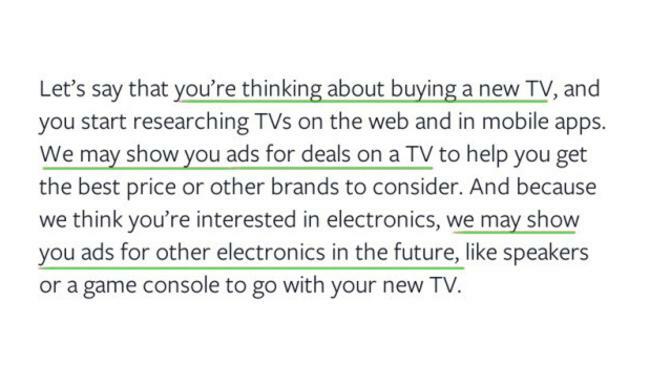 Of course, targeting ads is hardly a new phenomenon; Nielsen started gathering information about radio audiences back in the ‘30s. 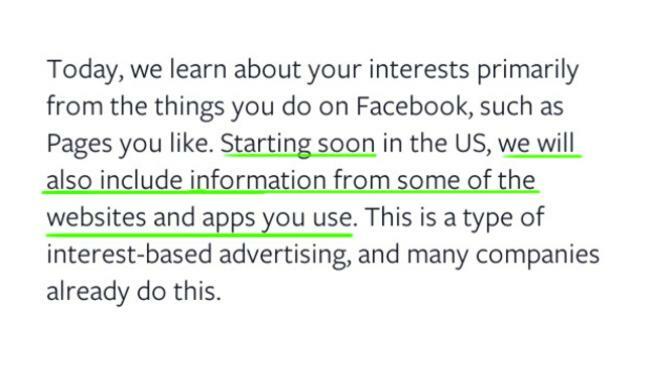 But because Facebook has so much information on every user, the kinds of demographics they make available to advertises are more comprehensive. So who really benefits from these highly targeted ads? For one, Facebook itself. Facebook’s ad revenue grew 82 per cent from 2013 to the first quarter of 2014, totalling $A2.41 billion. If you’re not very keen on helping Facebook generate more profitable ads at the price of your privacy, Facebook suggests you choose the “x” out option on individual ads. 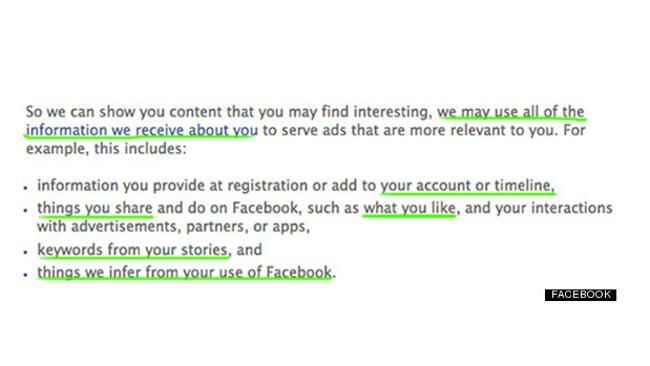 This won’t change the data being gathered about your interests, but it should help prevent an influx of credit card ads from popping up on your Facebook. What’s next when it come to information gathering by Facebook? TechCrunch spotlighted Facebook’s new tracking feature, “Nearby Friends,” which is being pitched as an opt-in way to find out which of your friends is located within a mile of you. 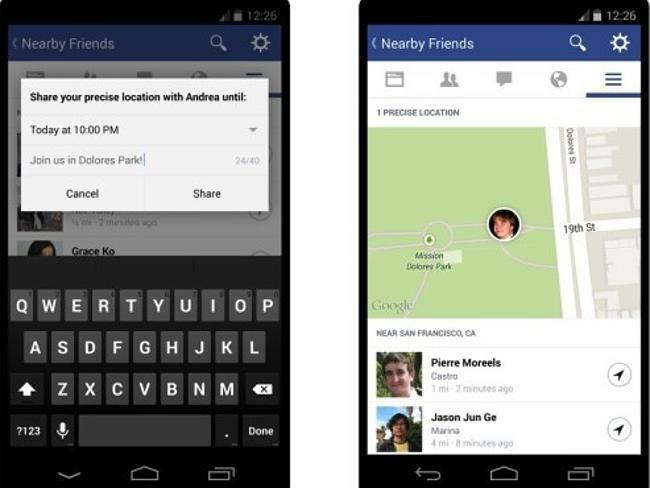 While you don’t receive the exact location of your friends, Facebook receives your exact location. While you can clear your history and turn off the app at will, Facebook noted that it “may still receive your most recent precise location so that you can, for example, post content that’s tagged with your location or find nearby places.” So some amount of tracking is happening, no matter what. This technology is only going to become more sophisticated with the rise of more location-tracking apps that can follow your movements in-store. 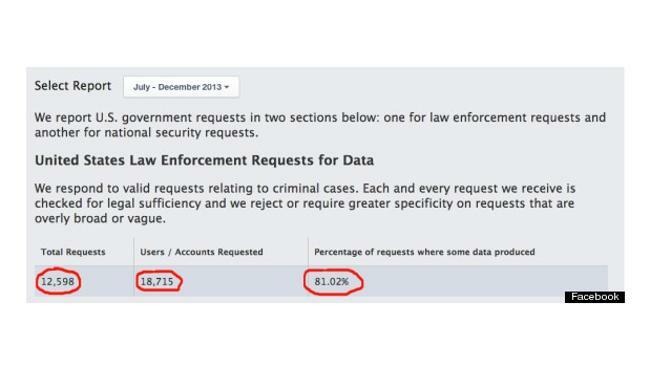 Despite that “research clause,” you may have been surprised to learn that Facebook experimented on nearly 700,000 Facebook users for one week in the summer of 2012. The site manipulated their News Feeds to prioritise positive or negative content, attempting to determine if emotions spread contagiously through social networks. Facebook has spoken out about U.S. government information requests it considers unconstitutional. 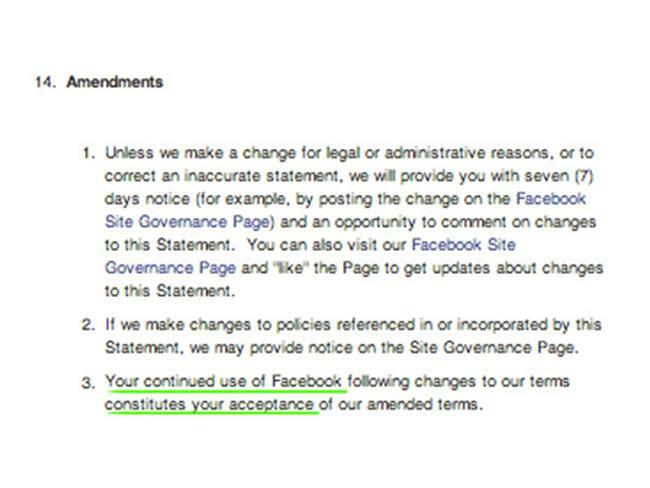 And if you actually think you know what you’ve agreed to, remember that Facebook maintains the right to change its mind about user conditions at any time. Basically, if you’re still using Facebook, you’re agreeing. It’s clear that the meaning of privacy is changing drastically in the digital age. While Facebook may be one of the agents of change in drafting a new definition, it’s certainly not the only one. As standards of privacy continue to morph, knowledge remains your best weapon in protecting yourself and your information. Check out the documentary Terms And Conditions May Apply for an in-depth look at privacy in the digital age. Common Sense Media also offers helpful guidelines for protecting your privacy online.